Align Clinics provide the highest quality Biomechanical Assessments in allowing individuals, athletes, teams and professionals to undertake a complete spinal and lower limb assessment and objective gait analysis using state of the art technologies; RS Scan Foot scan and Quintic Analysis. Biomechanical Assessment and Gait Analysis can be used to diagnose injuries and secondary compensations, treat biomechanical abnormalities, improve posture, treat and prevent injuries, and to provide objective screening for the professional sporting teams and individuals. 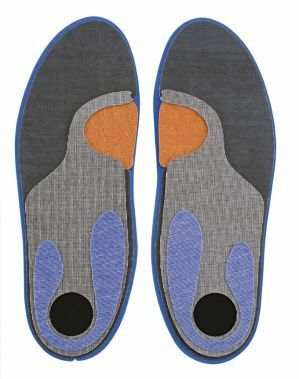 From the results of the Biomechanical Assessment Custom made carbon fibre Orthotics can be presrcibed and manufactured. 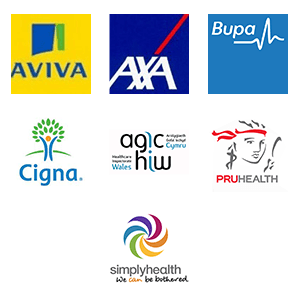 The Clinical Specialists at Align Clinics have succesfully screened and treated players from Sunderland Football Club, British Badminton players, Gwent Dragons Rugby Team, GB Wrestling team, Welsh football players, Welsh Rugby Players and a number of Olympic Athletes. The footscan provides the Clinical Specialists at Align Clinics with objective quantifiable static and dynamic data regarding the specific movement of each individuals gait pattern. When walking, your foot is in contact with the ground for approximately 0.8 seconds, when running this is reduced to 0.25 seconds. This movement, any joint or ligament instability, muscle imbalance or compensated movments would be impossible to see with even the most experienced Clinicians naked eye. Using the Footscan during a biomechanical assessment, itprovides the Clinician with comprehensive data demonstrating the exact movement, pressure and force throughout the gait pattern, as the individuals foot is scanned at 500hz over the 4096 sensors when walking over the plate. Due to the advanced technology of the RSscan Footscan, it provides the Clinician with indepth comprehensive statistical and graphical data demonstrating the exact movement patterns of each foot. This data can then be analysed and alongside the Clinicians Assessment a diagnosis and treatment plan can be implemented. The RSscan Footscan therefore gives a greater understanding of why a person might be suffering from a numberof symptoms such as shin splints, planter fasciiatis, knee pain, hip pain, back pain and also why a person may have a different or compensated walking pattern. The majority of complications observed using a RSscan Footscan in a Biomechanical Assessment can be treated with the use of Orthotics. Orthotics or insoles are inserts put into the individuals shoes and trainers which correct abnormal walking patterns, muscle imbalances, pain and stiffness up through the biomechanical chain. 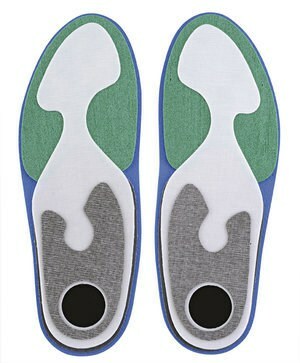 At Align Clinics we offer carbon fibre latest technology orthotics which are custom made for each individuals feet. 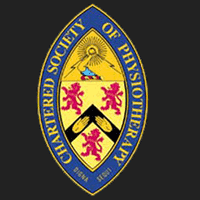 They are tailored and manufactured to suit the individuals biomechanical issues relating to pain and stiffness, to allow their movement to be more efficient and effective, to reduce recurrent injuries or to prevent injuries. Quintic is the Worlds leading video and biomechanical analysis software system. It is used for Olympic Athletes through to Professional Sports Clubs to Individual Sports enthusiasts by Clinical Specialists within this field. The Quintic system allows movement to be broken down to 300 frames per second (The human eye captures apporximately 12 frames per second), therefore intricate movements can be observed, corrected or enhanced. The Quintic system analyses movement. At Align Clinics our Clinical Specialists use this advanced system for a number of reasons with a variety of different people. It can range from capturing a persons walking pattern diagnosing muscle imbalances, compensations or weaknesses, to analysing an athletes running pattern and optimising the movement to improve the effectiveness of muscles and therefore speed. The Quintic System is used for a variety of sports such as Tennis, Golf, Rowing, Boxing and Cycling. Here, our Clinical Specialists work alongside the Sports Coach in breaking down and analysing each movement to make the movement more effective and efficient, thus providing a tool to increase a speed of a swing, allow further accuracy, understand reasons of fatigue and its effects on the individual and most importantly to reduce the risk of injury throughout the biomechanical chain.